Streamlined and sophisticated the Aspen coffee table from Robert Langford is the ideal addition for any living space. Metallic bronze detailing on the feet complements the faux shagreen for a simple but effective finish. The neutral chalk palette lends itself to any interior, complement with an array of soft furnishings or home accessories. Style with luxurious metallic accessories for an on-trend look. 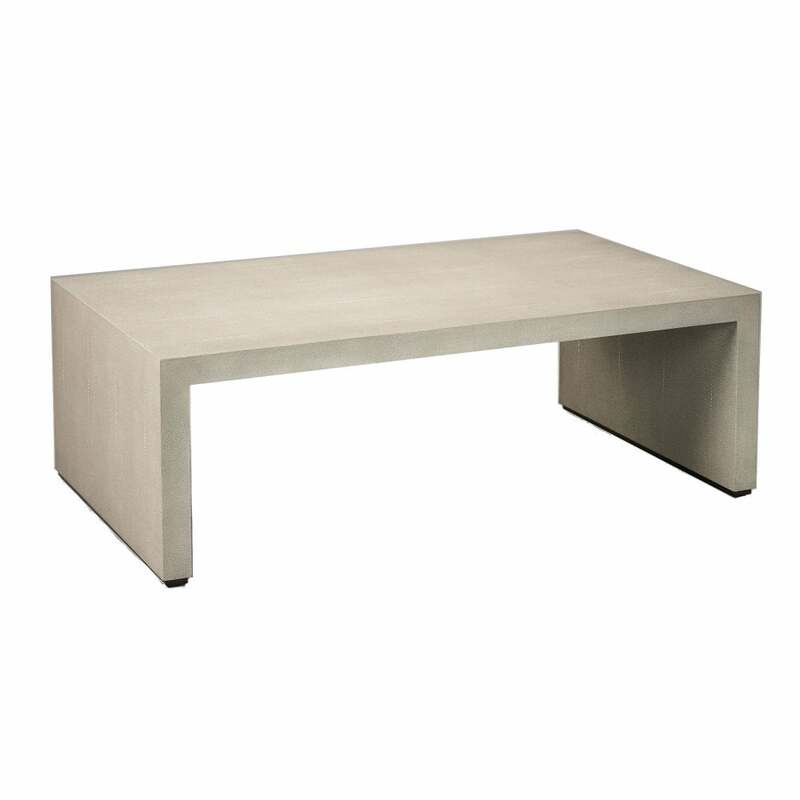 The Aspen coffee table is also available in a dark and moody dove coloured finish for an ultra-glamorous interior style. Add with an Aspen mirror from Robert Langford, either round or rectangular, for the ultimate chic look.